March | 2014 | I swallowed a basketball. 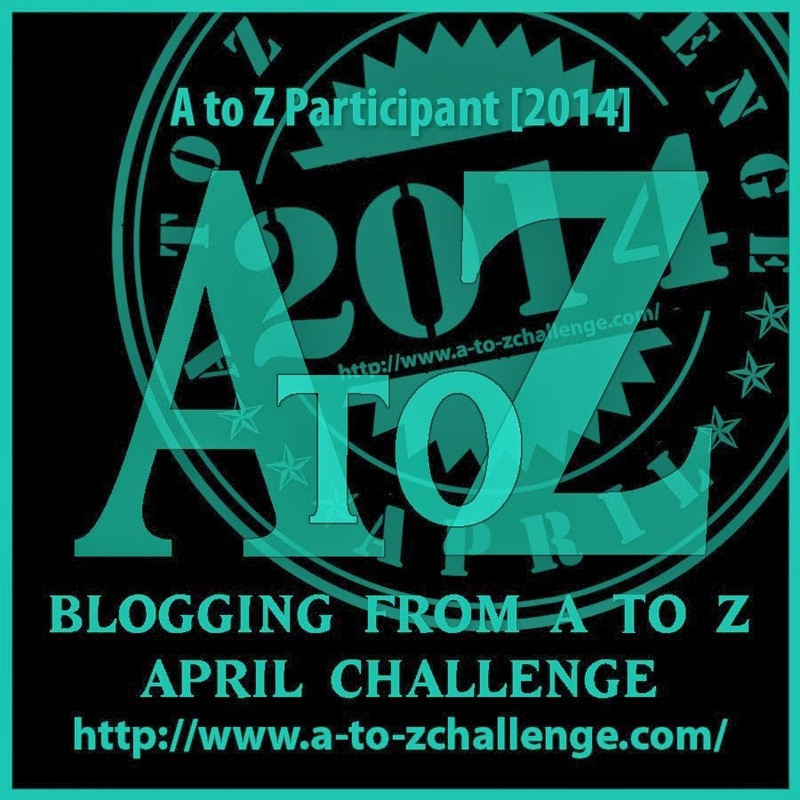 It’s nearly April A-Z blog challenge time! I will be blogging on a letter every day (apart from Sundays – the bloggers day of rest) for the month of April and I’d love you to come along for the ride! After the pressure of last year’s challenge and looking at other people’s perfectly planned posts (gotta love alliteration) I have decided to theme this year’s contribution. I’m sure I may still bend (my own) rules along the way – some letters are tough no matter what you do! But I’ll do my best to stick as close to my theme as possible. My theme will be…..books that have impacted my life. I have always been a giant bookworm, so I thought I’d share 26 interesting literary choices that have punctuated my 34 years on earth. It all starts tomorrow at 8am for me. 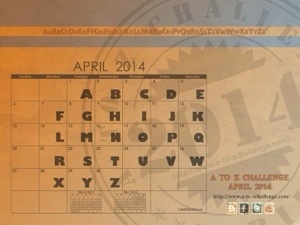 Hope you join in and let me know what your alphabetical book choices would be? Who would you choose to be stuck in a lift with? Do you go for entertainment, chuckling the time away? Swoon factor, dribbling over an adonis? Or sentimental, time with loved ones? If it’s during a blackout in New York City and it’s approaching a bazillion degrees I reckon I might opt for a chap with a portable fan, a torch and a big bottle of water about his person. Call me crazy but that’ll do me. Even if the boy you’re stuck with doesn’t happen to have any of those practical things, you might still end up falling in love. 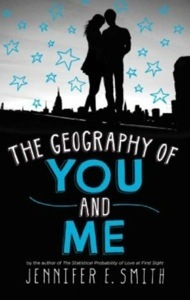 In The Geography of You and Me, Lucy and Owen meet in these circumstances and spark a relationship which follows them across the world in a transatlantic swoonfest. Great premise, lovely idea but there were a couple of plot features that didn’t sit comfortably with me. For example the speed at which the characters get involved with other people. In an all-consuming love-at-first sight romance, are we to believe they would forget each other so quickly? Minor grumble aside, this is a lovely story with an ending that will make you go “Ahh” with a comforting sigh. I could stop there, but I’d better elaborate so that this is at least in some way helpful. Have you seen The Adjustment Bureau? Matt Damon. It’s one of my favourite movies. If you haven’t seen it, fix that situation right now. The movie makes you think about how our lives are mapped out, about the reason why you spilled your coffee this morning or why you got stuck in traffic on your way to work trundling behind a tractor. Everything is planned and the Adjustment Bureau exists to make those little tiny tweaks to keep your life on ‘The Plan’. It’s ace. But not connected to this book in any way…. Rachel and her friends all gather for a farewell dinner before embarking on their individual University adventures. Something devastating happens that night, which leads to life-changing consequences for the group. But what if something different actually happened that fateful night….. I won’t mess about, this book is BRILLIANT. Compelling, addictive and emotional. (Yes I cried, what’s new?) If you’ve ever wondered “What if…” and felt the pain of unrequited love (high-five sistas) then you REALLY NEED TO READ THIS. See how I’m using CAPITAL LETTERS to EMPHASISE just how much you NEED this book in your life? You really should read this. It’s all part of The Plan. I don’t like things that scare me. I haven’t watched a scary movie since 1995 (teenage bravado has washed off, along with Exclamation perfume) and earlier this year I had to leave Madame Tussaud’s ‘Scream’ attraction via an emergency exit (staff kitchen – incidentally, impeccably clean) in a state of near hysteria. For this reason, I prefer jolly, fluffy, happy-ending, cosy reads that I can happily get lost in, where everything is all nice and stuff usually works out for everyone, all tied-up in a nice pretty bow. I think this book has changed that. I was utterly gripped by this dark, twisting tale and genuinely didn’t want it to end. Far from happy, jolly or fluffy Someone Else’s Skin introduces us to DI Marnie Rome in a dark drama surrounding domestic violence, witness intimidation & sado-masochism. An entire universe away from my usual reads, but I really enjoyed it. It’s really not scary – not even for a giant wussbag like me – but the story is compelling and will make you uncomfortable. Sarah Hilary clearly isn’t afraid to tackle tough issues and writes beautifully. I doubt I’ll start seeking out even scarier stories to test my new found bravery, but I genuinely can’t wait for the next instalment.